It’s nearly here! It’s nearly time for Halloween and we know that most of you will leave your Halloween fashion shopping until the last minute or will get invited out to a last minute party and won’t know where to look to find your perfect accessories, but you’re in luck! Our style team at LoveSales have done the hard work for you. 1. 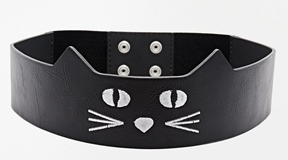 The Cat Belt – £12.00 Asos. 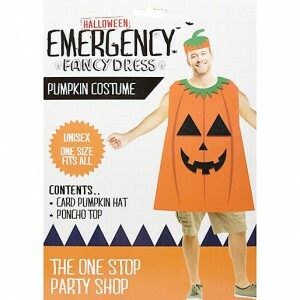 Add this to any black dress with some killer heels and you are instantly ready to party for Halloween. 2. 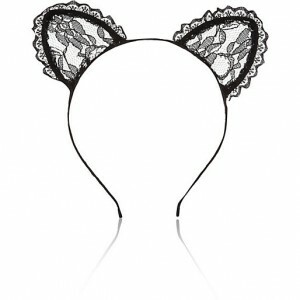 Essential black cat ears – River Island £7.00. Yes we know its cliche but at the end of the day black cats are glamorous and essential at any Halloween party and these lace ears can turn any party dress in to instant costume. 3. 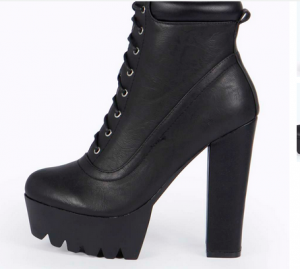 Killer Halloween boots – £30 Boohoo.com. Whatever you decide to dress up as this Halloween, your outfit won’t complete without a killer pair of black boots. These beauties will work well whether you are a cat or a vampire! 4. 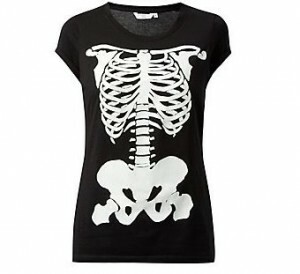 Skeleton T-shirt – £9.99 New Look. If you aren’t one for dressing up at Halloween this skeleton t-shirt will ensure you feel comfortable and yourself whilst still fitting in with whatever you’re doing for the scary holiday! Plus this one glows in the dark so you will be the talk of the night! 5. 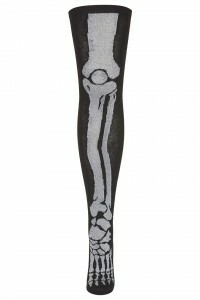 Halloween socks – £8 Topshop – Add a bit of glam to your outfit with these glitter skeleton over the knee socks. Perfect to add that bit extra to our outfit or just add that touch you need to feel included. 6. Halloween Emergency Outfit – £5 River Island, – If you haven’t even got the time to accessorise and just want the entire outfit then you can head down to River Island and pick up one of these amazing last minute emergency outfits! (Essentially bin bag material!) but none the less completely genius and you won’t have to be the odd one out this Halloween! This entry was posted in LoveSales News, Seasonal Sales, Trends on October 20, 2014 by Charlotte Williams.